With the holidays upon us, your calendar may soon be filled with dinner party invitations. I never show up to a dinner party empty-handed. But what if the hostess doesn't drink wine? Here are a few suggestions for alternative hostess gifts. Duh, who doesn't like chocolate? Personally, I like dark chocolate. But it's a good idea to get an assortment, especially if there are others living in the home the hostess may share with. You can't really go wrong with flowers. Fresh flowers are preferable, but even really nice silks could be utilized if your hostess is known to be particularly crafty. Keeping in line with the bouquet idea, I have also gifted fruit bouquets. I have been told that people can be wary of gifting fruit or flowers. Some think that the item may not fit into the decor, or that the hostess may feel pressured to use the gift right away. If you have any reservations, you could always send it along later as a thank you gift. Scented soaps are absolutely divine! You can buy specialty soaps, but it's easy to make your own for a personalized gift with a DIY simple kit. If your're not crafty, or don't even know where to start, try a discount department store like Marshall's or TJ Maxx. They normally carry really nice gift sets, especially around the holidays. This is a no-brainer. Don't over think it though. It doesn't matter what the color scheme of the home is since this gift will likely not become a permanent fixture. Candles also give you the opportunity to create a relaxation themed gift set. Your hostess will probably need some me time once the post party clean-up is completed. 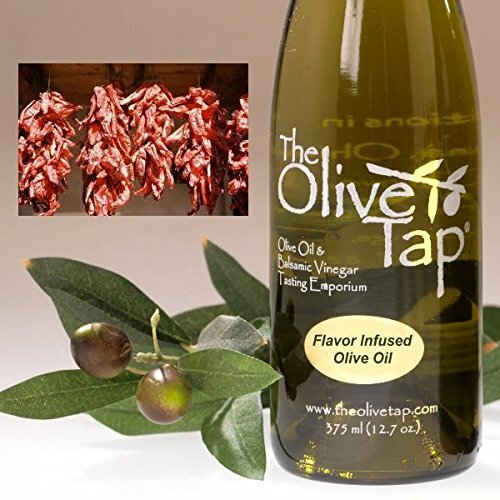 I use olive oil in most of my dishes and for various uses around the house. Olive oil has become so popular over the years, now you can find different varieties of it. These include oils that are infused with herbs and/or different flavors. If you want to personalize your gift, you could bundle a bottle of olive oil with selected spices. My personal favorite is dipping spices for bread. Delicious! I think Herbal Teas are the absolute BEST thing since sliced bread. The tea was around first of course, but you get the point. There are so many options besides packing a plain old tea assortment. Loose leaf teas are much more fragrant and flavorful than pre-packaged tea bags. But along with the loose leaf movement we now have all these adorable tea accessories. I have bought all the way into the hype. Literally. My mom and I have all sorts of infusers, rock candy swizzle sticks, tea light teapot warmers and much more. It's easy to put together a quick gift basket that your hostess will LOVE. Can you guess what I would appreciate most as a hostess gift? I think wine charms are the most adorable thing. It's a cute way to keep everyone's drinks in order. As a hostess, there is nothing more annoying than throwing out thirty half drank beverages. 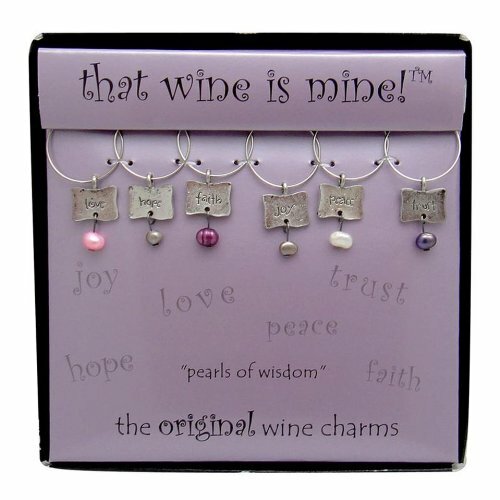 By utilizing wine charms the guests will avoid losing their drink. 'Tis the season to bake! Boxed cake mix is always a quick and easy option for sheet cakes and cupcakes. However it's just as easy to bake something from scratch. This way you can get creative with the packaging. My co-worker started circulating Amish Friendship Bread a few years back and now we do it every year. It is basically a quick bread and the varieties to make it your own are endless! Below is a quick video to show you what I mean. With these options, you never have to bring a boring bottle of wine to a gathering ever again.